St. 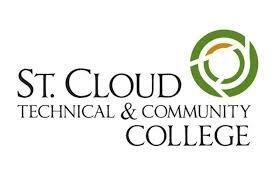 Cloud Technical & Community College (SCTCC) is a regional treasure located in the heart of Central Minnesota. Founded as the second technical college in the state in 1948, SCTCC has committed to meeting the needs of our community through its 90 programs of study that closely match the types of jobs available in the area. More than 70% of our students come from the surrounding six counties and choose employment close to home after graduation in healthcare, business management, computer technology, manufacturing, construction, transportation, and more. While SCTCC has offered liberal arts and sciences courses for years, in 2010 the College became a comprehensive technical and community college offering the Associate in Arts degree in addition to technical programs.